A stainless steel watch should be a staple in every man’s wardrobe. Durable, timeless and handsome, this metal transcends fashion and can withstand daily wear and tear. And you’re going to need that, because when you own a great looking stainless steel timepiece, you’re rarely going to want — or need — to take it off. Here, we’ve rounded up a handful of our favorite stainless steel models. There’s a look for everyone, whether you’re looking for something sporty or refined, each of these timepieces are handsome in their own right. Let’s take a look. The Seamaster is the kind of watch that will transition with you from the boardroom to the bottom of the ocean floor effortlessly. 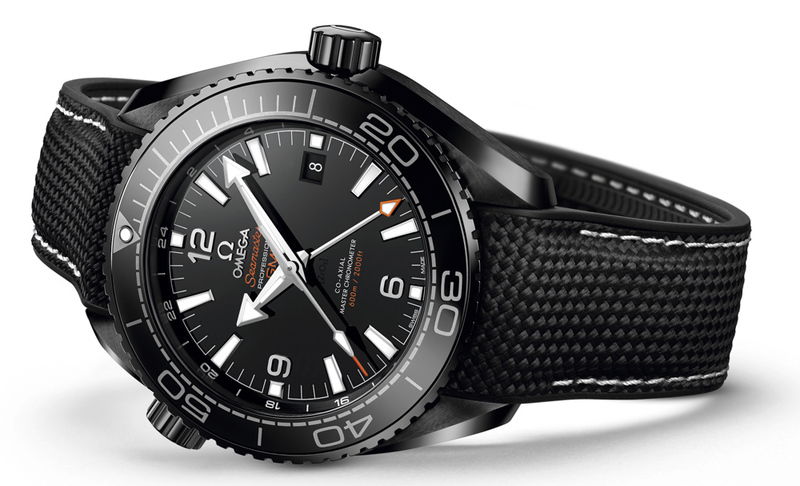 This impressive timepiece can withstand depths of up to 600 meters (2,000 feet), boasts a 60-hour power reserve, and the most dark-and-handsome face you ever did see. The iconic orange hour markers pop against the black face and bidirectional rotatable bezel — the luminescent hands shining against the darkness. The stainless steel case and bracelet keep play into the sporty look, but is refined enough to dress up, too. This round, oversized 44mm stainless Panerai case is beyond striking. The black face and luminous Arabic numerals pop against the brushed metal case; the fixed, polished tachymeter bezel catching light and curious glances. The automatic chronograph is also waterproof up to 100 meters (330 feet) and the three (elegant) subdials will help you keep perfect time. 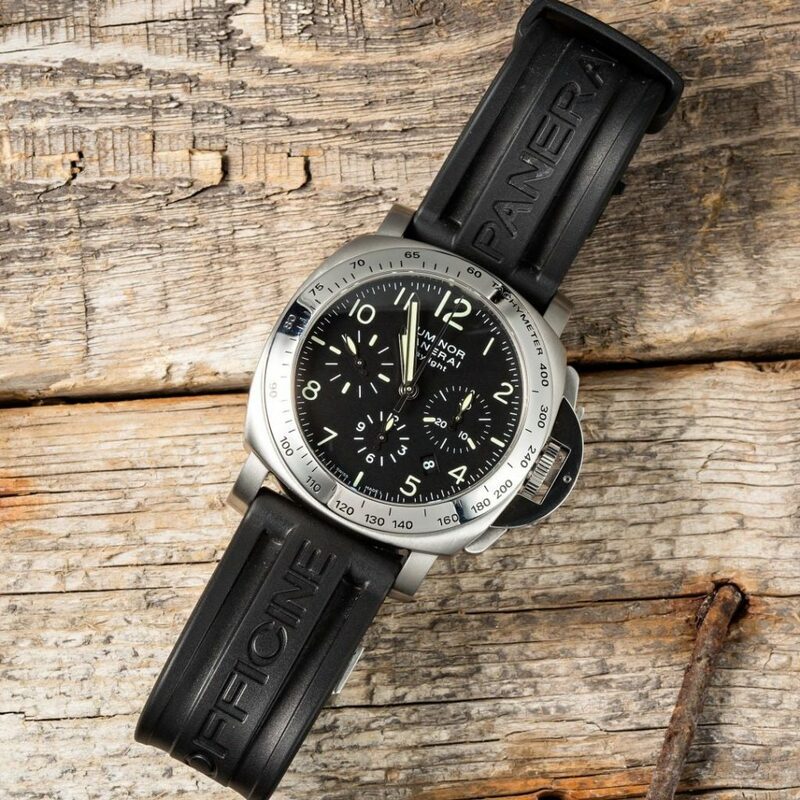 But, surprisingly, what we really love about this watch is the rubber Panerai strap. It’s not only durable and a more casual daily option, but it keeps all the focus on that handsome stainless case. 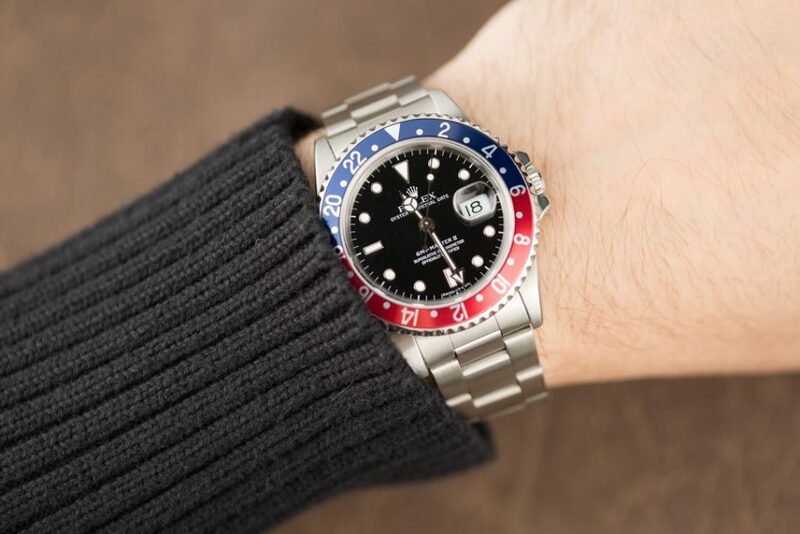 One of the very first GMT II models, the 16710 ushered in a GMT that appealed to the masses. With an attractive, slimmer case, watch enthusiasts adored this watch during its nearly two-decade run. We have a soft spot for this stainless model featuring a black face and matching black tachymeter bezel. The luminescent round and rectangular hour markers absolutely glow and add an elegance to this sporty timepiece. Additionally, the matching stainless Oyster bracelet and clasp alongside the ability to withstand depths of u to 330-feet ensure this watch will last a lifetime. If you know a thing or two about Daytona’s, you know that it’s nearly impossible to get your hands on a stainless version. It’s a new addition to the Daytona line, and the waitlist to get a new one can easily take a few years. 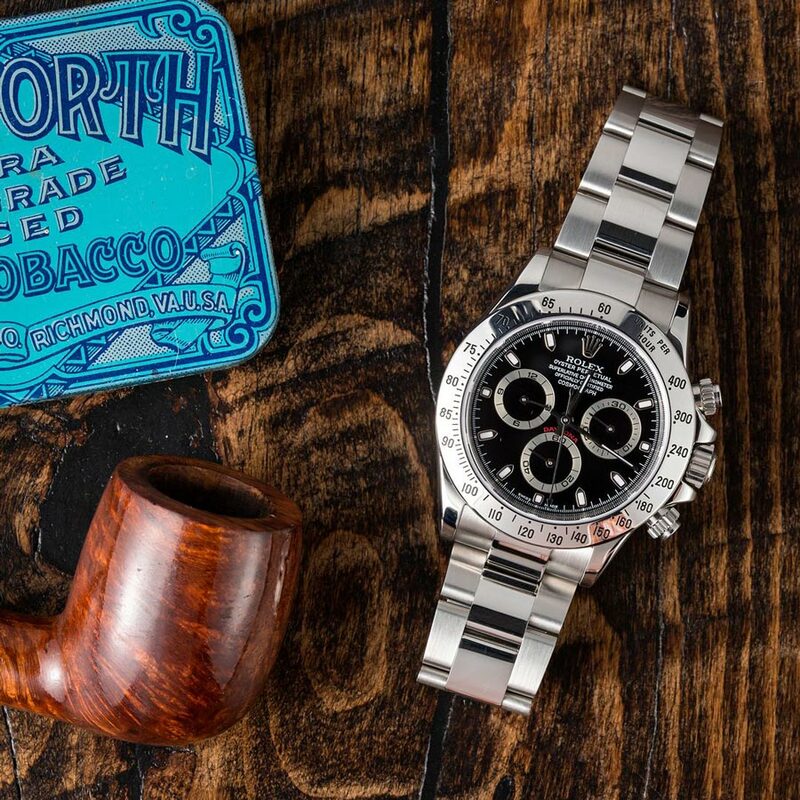 If you can manage to snag a stainless case and bracelet Daytona, though, you’re sure to revere it as one of your best purchases. The iconic, sporty, and quirky chronograph face will always serve as a conversation starter and the durable 9040L stainless ensures you can wear it day-in and day-out. 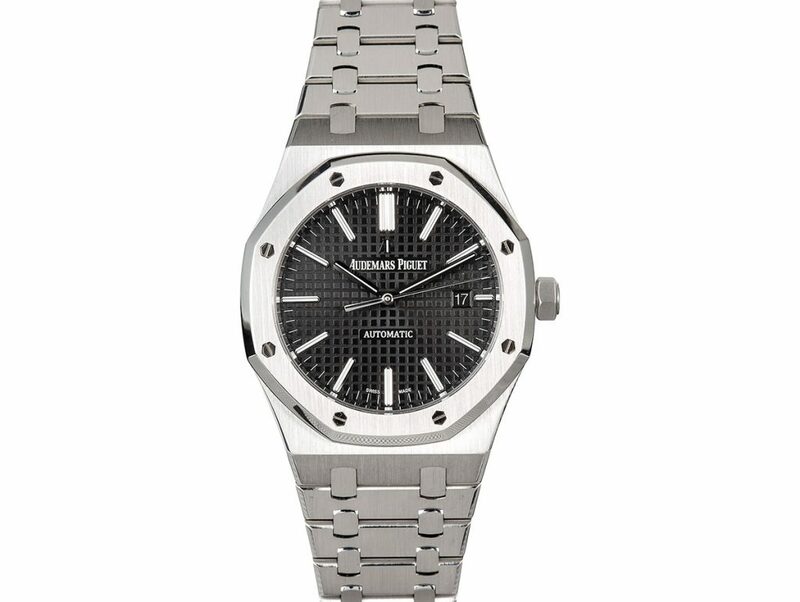 Deconstructed, masculine and elegant, the unique octagonal case of this Audemars Piguet is a wonderful twist on the everyday stainless watch. The 41-mm case features the screws on the front, leaving you wondering what exactly is under the signature “Grande Tapisserie” black dial — luckily, the sapphire exhibition case on the back gives you a peek. The Royal Oak 15400ST is waterproof up to 50 meters and has a power reserve for up to 60-months; and with that durable stainless steel body and bracelet, you won’t have to worry about anything except keeping the time once you slide it on your wrist. The DateJust is kind of the original durable, handsome stainless watch. The aesthetic is timeless with a round 41mm Oyster case and, like this one, outfitted with a sturdy 9040L Oystersteel Oyster bracelet and clasp. But, what we love about this particular watch is that beautiful blue face. 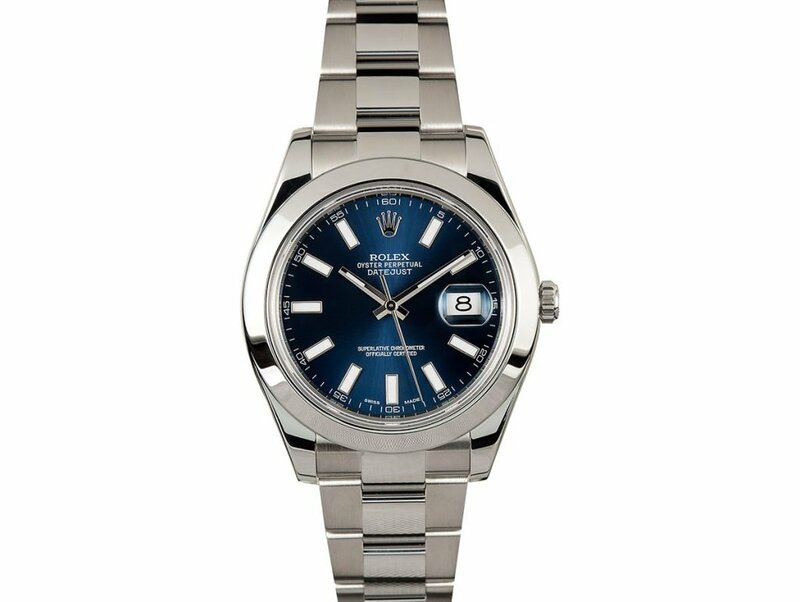 While the DateJust is a trusty choice, the colored face adds a bit of flare while still remaining classic and masculine.